First and Official Flag Raising in Mindanao. Father Alberto Masoliver, S.J., during his stint as the parish priest of Surigao in 1898, kept a compilation of his diaries, entitled Diario de la Casa de Surigao. His diaries are currently stored in the Jesuit archives at Centro Borja, Sant Cugat del Valles, Spain. He thus wrote on December 26, 1898, "Before 10:00 AM, the tri-color was hoisted from Casa Real seat of provincial government) and the Tribunal … without any formalities … without anybody's attention being drawn…..these people have no idea of what it is all about, and if they have… how peaceful and without malice they are.". 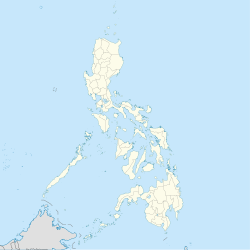 Surigao then was the cabecera and the seat of government of the province of Caraga which had jurisdiction over Surigao, Butuan and Cagayan de Misamis ( Cagayan de Oro). Alejandro (Jantoy) Gonzalez was the president of the Junta Provincial of Surigao during the time of the first flag hoisting. Massive reconstruction followed the destruction brought by the war. The Surigao Provincial Capitol was completed in 1946 atop the hill overlooking the city. Other facilities were built including schools, athletic field and municipal jail. In 1948, the first election of municipal officials was held. In the same year, construction of the Surigao Provincial Hospital commenced. Six years later in 1954, construction of the first municipal building started and was completed in 1955. Economic activities continued to flourish with the launching of gold mining operations by Mindanao Mother Lode Mines in Mabuhay, 10 kilometers away from the city. Rapid economic growth and immigration resulted to losing some of its fishing and agricultural barrios as they were converted into towns of Malimono (July 31, 1956), San Francisco (May 24, 1957) and Sison (September 15, 1959). During the same year, settlements including Capalayan, Libuac, Catadman, Mat-i, Lipata, Dakung Patag, Bunyasan, Cantapoy, Balite, and Bambanon were elevated into barrios, the forerunner of modern-day barangays. At that time, Surigao was classified as a 1st Class B municipality with an annual income of P160,000.00 and a population of nearly 50,000. It was primarily an agricultural town producing mainly copra and basic staples including rice, corn, bananas and rootcrops. Fishing was also a major source of livelihood. On September 18, 1960, pursuant to the Republic Act 2786 dated June 19, 1960, the province of Surigao was divided into Surigao del Norte and Surigao del Sur. The town of Surigao remained as a capital, this time for the province of Surigao del Norte. On February 11, 1997, the Congress of the Philippines enacted Republic Act 8244 converting Surigao Provincial Hospital into a regional training hospital and renamed it Caraga Regional Hospital , effectively expanding its scope and services that would include the entire Caraga region with a catchment population of nearly 2 million people. Today, this 150- bed tertiary hospital, a core referral facility, is rapidly expanding with intensive care units that includes Coronary, Pediatric, Surgical and Burn. Surigao traces its roots to formal schooling in the year 1906 when the last group of Spanish Benedictine Missionaries, who had worked zealously to have founded the Cartilla or Doctrina School (Escuela Catolica de San Nicolas), vacated Surigao. Soon after their departure, the Missionaries of the Sacred Heart also known as the Dutch Fathers, succeeded them, created the parish of Surigao, and made the Escuela Catolica de San Nicolas a parochial school which later became San Nicolas College. In 2002, Surigao became the first urban center in the entire Caraga region to host a university after San Nicolas College changed its nomenclature to Saint Paul University Surigao , a part of Saint Paul University System.